Venus is the planet of merriment and joy, fun and pleasure. It is associated with parties, things that are attractive fragrant and pretty, perfume, make-up, pleasant and peaceful places; and people who are companionable and cheerful. Venus has a particular association with girls and young women, beauty and attractiveness, and all things soft, moist and lovely. 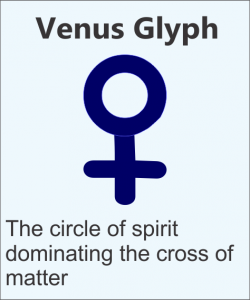 Venus is the planet which brings people together and harmonizes. Compare this with Mars which splits and separates with wrangling and vexation. 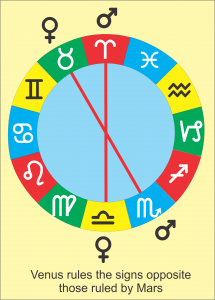 This is reflected in the structure of the zodiac signs where the signs ruled by Venus are opposite those ruled by Mars. Music, art, jewelers, beds, marriage, treaties, wives, young women. When Venus is in a negative condition it incites wantonness and jealousy, loose and lewd behaviour, indulgence and scandal without regard for reputation; laziness, and has no regard for the true value of things. 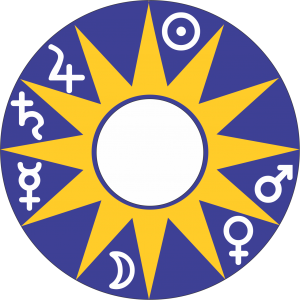 Venus rules Taurus and Libra, and is in detriment in the opposite signs of Scorpio and Aries which are ruled by Mars. Venus is exalted in Pisces, and in its fall in the Mercury ruled sign of Virgo, where logic rules over beauty and diplomacy. Physical appearance: Short, soft bodied, round face, attractive. 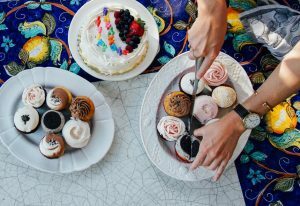 Occupations: Jewelers, prostitutes, make-up artists, artists, musicians, anyone who is involved with improving appearances. Gamesters, painters, graphic artists, upholsterers, those in the fashion industry, dancers, models. Animals: Small soft and cuddly animals. Minerals and Jewellery: Copper, brass, cornelian. Places: Gardens, fountains, fairgrounds, the games room, wardrobes, dancing schools, fashion/clothing shops, the bedroom.